Rug hooking is an original Canadian craft, developed in the Maritimes and eastern Quebec in the nineteenth century. An original recycling activity, it involved women splitting burlap seed bags open, then ripping up their families worn clothing into wool strips to be worked into patterns for the burlap backing. Voilà-rugs for their bare wooden floors appeared. As with quilting, over the decades a craft of necessity developed into a textile art form. 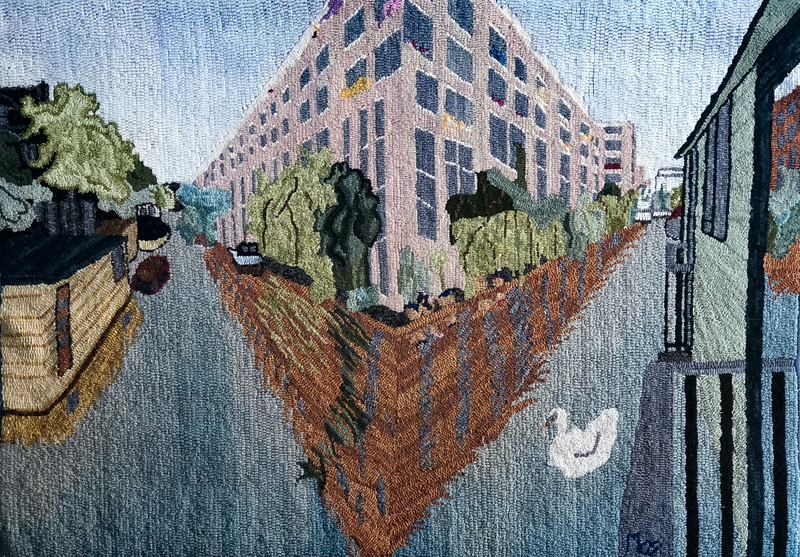 Myra Bielby has been hooking rugs for the past 16 years and has had them appear in Rug Hooking Magazine on two occasions as contest winners. The Edmonton Rug Hooking Guild meets at the Pleasantview Community Hall in Edmonton on the first Thursday of every month, 9:30 am to 3:30 pm, September-June. The guild provides free instruction and materials at cost.